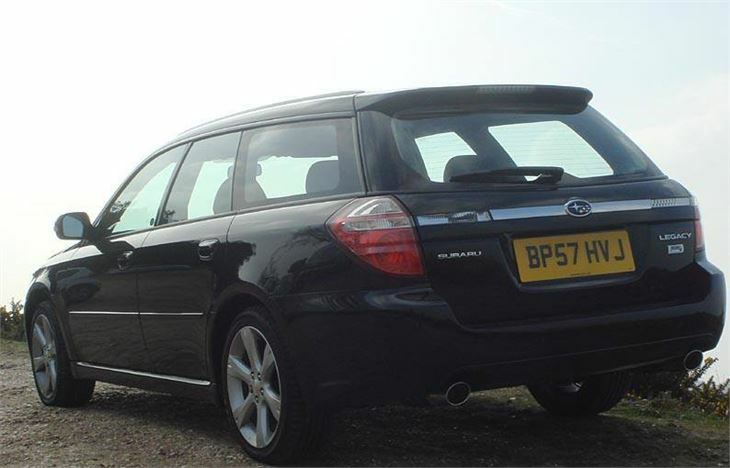 Subaru enthusiasts, pony club members, and anyone living up a muddy lane or above the snow line had been clamouring for a Legacy Diesel for years. 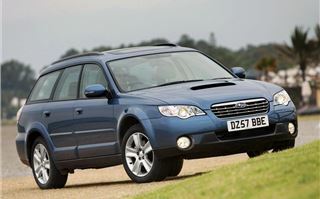 Subaru now expects to sell 85% of Legacy Sport Tourers and 95% of Outbacks with its new ‘Boxer’ diesel engine. 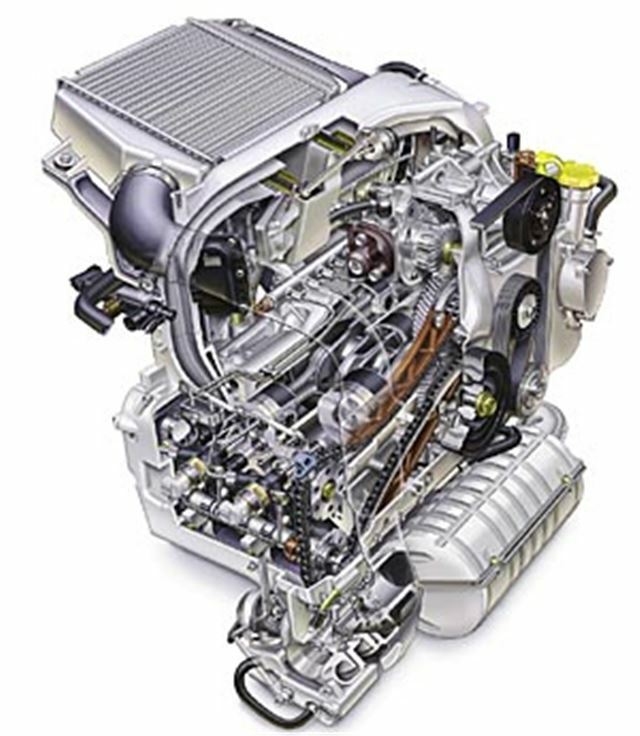 And so it came to pass, nine years after the Subaru engineers were given the green light to produce the world’s first boxer diesel-powered engine, here it is. To begin with, when it goes on sale in February, only the Legacy and Outback will get the option of this 2.0-litre, flat-four, oil-burner. The Impreza will be diesel-free until the latter part of this year. Obviously we’re not going to be dishing any awards for cutting-edge industry initiatives here, but that’s another issue. The key question is whether it’s all been worth the epic gestation? The short answer is yes. 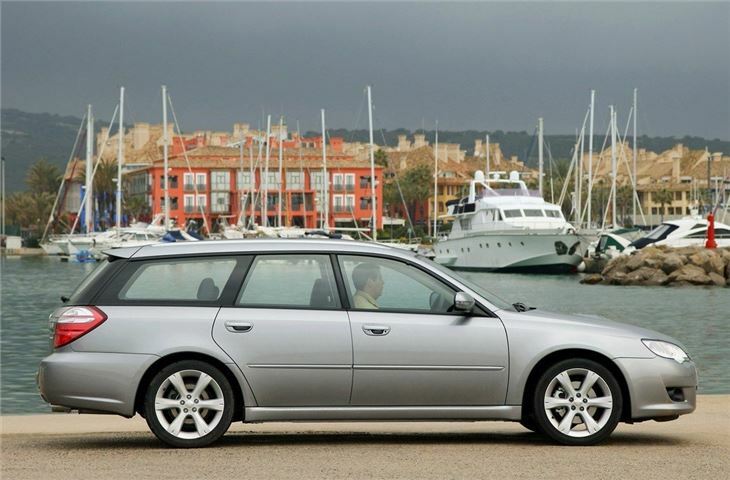 Any engine which can pull the architecture of a not-so-inconsequential-sized estate car to a top speed of 126 mph while powering all four of its wheels and still boast nearly 50mpg is surely be worthy of a positive reception. 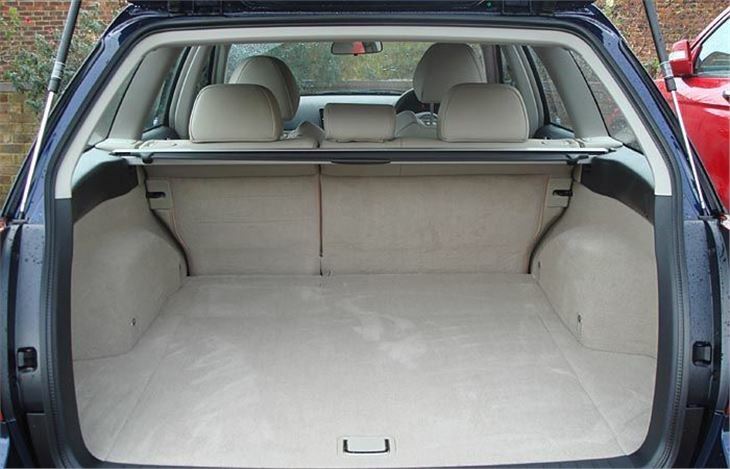 And if those facts weren’t impressive enough, then take the starting prices: a smidgen under £20k will buy the surprisingly well-equipped Legacy TD, or the same entry-level Outback for £21,495. On first impression then, Subaru seem to have laid the foundations for a diesel model line-up which they so desperately need. But there’s a caveat to all this. Subaru is quite rightly proud of its achievements and is consequently doing much chest-beating about how this turbocharged unit produces 258lbs of torque and 147bhp from the same horizontally-opposed layout as the petrol original. 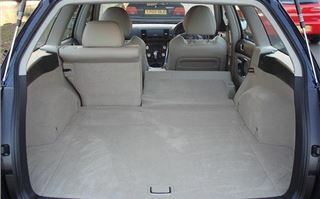 Oh and this new alternative takes up even less space in the engine bay. Yet, none of this will mean a toss to real people if the results still sound and drive like a Massey Ferguson tractor. Surely they’d have remembered that little consideration? Well starting from cold, the clatter coming from underneath the bonnet immediately tells your neighbours that this car is a fan of the black-handled pump. I’m trying not to be too harsh on this first offering from Subaru, but you have to understand over the past decade or so, diesel technology has progressed at an alarming rate, turning the image of diesels as oafish oil-burners into quiet, refined and acceptable sources of power. This engine, though, feels as if it has been stuck in a time warp somewhere between now and when we used to write the date starting with a 1 and a 9. The great shame is, if it were launched as little as five years ago, I have no doubt all the motoring fraternity would be feting this unit as the new diesel Messiah. Given what is currently on the market - especially from those clever Germans - this diesel needed to be so good that it would blow away everything that stood in its path. Instead, all it can do is muster a tentative nudge above the average mark. With both cars sharing the same engine, suspension and five-speed gearbox, there is hardly any difference in the overall performance. On the straight, the Legacy’s is a tad quicker - by 0.3 of a second to 60mph, in fact. And at 126mph, it has a higher top speed, by 2mph. 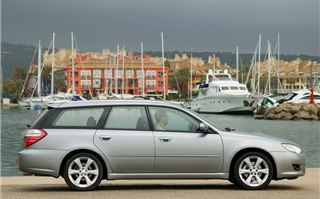 Only when the two are driven back-to-back do the Legacy’s slightly sportier characteristics become more evident. Neither could be considered the most rip-roaring drive ever, yet the Legacy shows more responsiveness and has an overall sense of dynamism. Take both through the same set of twists and turns and the Legacy hunkers down and relishes the job in hand, while the Outback feels a bit like trying to post a dead trout through a letter box. If you’re choosing a new car and are prepared to think a little outside the box, even slightly left-of-centre, either of these cars isn’t as risky a prospect as you might first suspect. Like their petrol siblings, they feel as though they’ve been built to withstand a megaton explosion. And not only that, they have been finished to a standard of refinement far exceeding expectations. 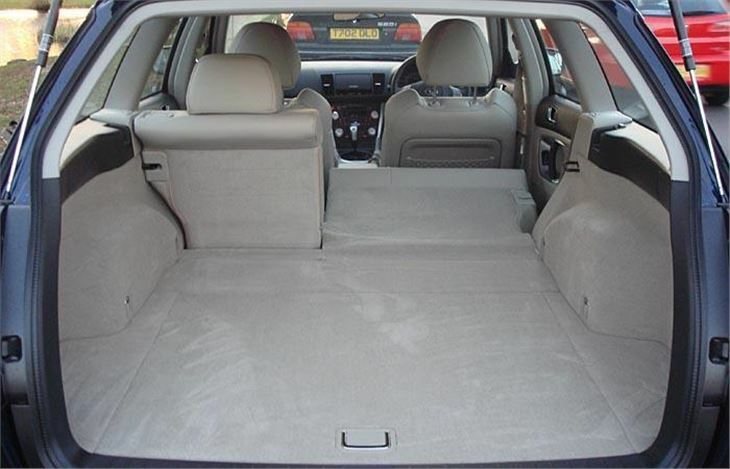 A protective blanket swathes each car in an array of passive and safety equipment, too. And although the full-time AWD system is there for added traction, trespassing across a Gloucestershire farmer’s land is not going to cause it too many problems. (Note: before running the risk of being blasted by a 12-bore shotgun, do take into account ground clearance and lack of low-range gearing). So is this the technical, gob-smacking breakthrough Subaru would have you believe? Not really, but much the same as the rest of its range, it’s a fairly credible choice. If you seek an escape route from the one-way system of German fashion, Subaru finally has a diversion that’s not marked ‘petrol’. I found this a very honest car. In the spec that showed up it’s fairly basic, with things like alloy wheels, aircon and cruise control, but not much else. I have to say I actually prefer the wide, flat cloth seats to the leather bound chairs in the last Legacy I tested. Start up and it can sound like someone is rattling an old box of spanners under the bonnet. It’s certainly not as smooth as the new Accord diesel, or the KIA Cee’d/Hyundai i30 chain-cam diesels for that matter. (Unlike Subaru petrol engines, the 2.0 Boxer diesel is chain-cam.) But once you’re underway the noises recede and the awareness you’re driving a diesel comes from the strong torque rather than the chatter of the engine. 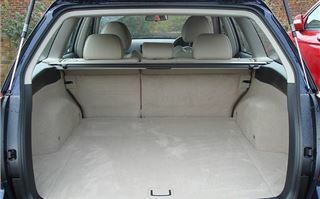 Where many diesels are geared at around 35mph per 1,000rpm in 6th, the Legacy boxer only has 5 gears in its pleasingly precise shifting box and 5th gives around 32mph per 1,000rpm. This not only makes it more flexible and gutsy in 5th (and should make it an excellent towcar), it also seems to be very good for economy. Subaru claims nearly 50mpg and in some very mixed motoring I averaged 45mpg. The balance between engine torque and gear ratios is exactly right and means you can make rapid progress at quite low revs. All you really need is between 2,000 and 3,000rpm and the engine tugs well from around 1,400. At first I thought the handling was a bit understeery, a Legacy of the past, perhaps. But once I got with it I found that the excellent balance between engine torque and transmission ratios is also shared by the four-wheel drive chassis. You just have to find its sweet points, then it will hang round bends beautifully, catapulting out like a quattro. There is a bit of road noise. Quite a lot more than the new Accord with its rubber bushed rear suspension subframe. But you can reduce it considerably by remembering to close the blind over the luggage area. Sitting in the car, locked in cruise on my way back from an auction I asked myself the question every private buyer has to ask. Would I be happy in this car for three, four or five years? For 40,000 to 100,000 miles or more? I was getting 45mpg. I liked the combination of torque and gear rations, the comfort, the satisfying handling. The answer was yes.